Orbit B-Hyve Review! – WiFi Sprinkler Controller! 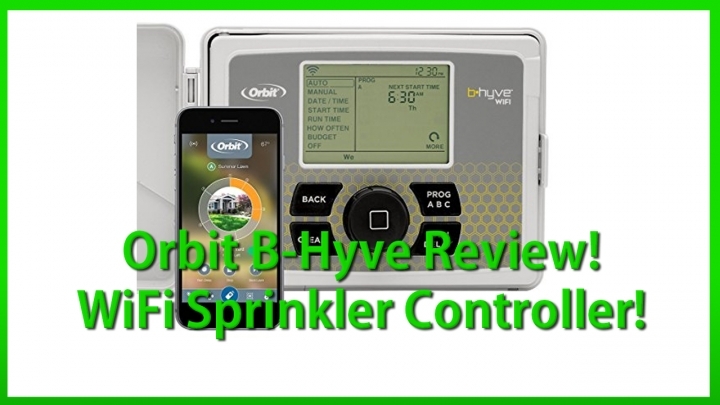 If you are still using an sprinkler controller that is not internet enabled, it may be a great time to upgrade it to the latest Orbit B-Hyve WiFi-enabled sprinkler controller. Over the weekend, I upgraded my mom’s sprinkler controller to the Orbit B-Hyve and now her sprinklers can be controlled from anywhere in the world there is internet. Setup took me about 20 minutes, it was really easy as you simply mount the control unit on the wall and re-connect all the wires from your sprinkler. Of course, the best feature on the Orbit B-Hyve controller is that you won’t ever need to use the control panel after setting up the WiFi. You can control everything from the B-Hyve app(available for both Android and iHOs), that allows you to program unlimited number of programs, turn on your zones manually, pulls weather forecast from internet and turns off your sprinklers on rainy days, and much much more. For anyone who has a big yard or perhaps have a vacation house, this could be a great way to automate your yard. I was really impressed and highly recommended to anyone who needs something like this. Previous story Galaxy S5 Android 8.1 Oreo Review/Install Guide!